The new moon is upon us, and that means it’s time for setting intentions. New moon intentions are a wonderful way to commit to living life with more mindfulness; with more care and intention. One way to do this? With a new moon ritual. 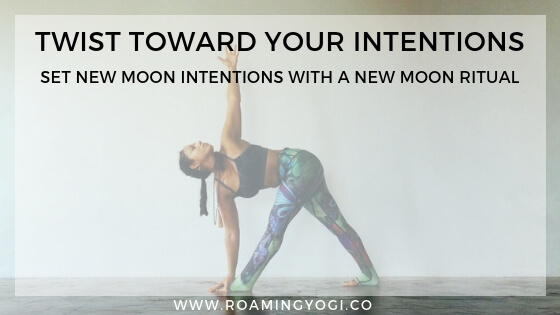 If you’d like to explore more about the lunar cycle in general and what it means to align with the phases of the moon, check out this New Moon Yoga post. For today we’re talking about intention-setting, and why the new moon is a perfect time to do this. The night of the new moon is the darkest night of the moon’s cycle. It marks a fresh start for the moon and a fresh start for all of us as well. In the quiet darkness of the new moon, we are encouraged to go inward. This is a time of introspection. A time to plant metaphorical seeds. To set new intentions, start new projects and to begin to cultivate positive new habits. A new moon ritual is a beautiful way to do this. Ok but what the heck is a new moon ritual? What does setting intentions even mean? What does it look like? I’ll walk you through what it looks like for me, and you can implement whatever resonates with you. Don’t worry, there are no ritual burnings or incantations (unless you want to add those!). Here’s a peek at my new moon ritual. Before we begin, let’s clear some space. 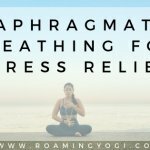 This doesn’t have to be a big space; you don’t need a dedicated yoga/meditation room (though if you have one, def use that!). But set aside a space that is clean and uncluttered. Find a comfortable position, close down your eyes, and find some stillness. In that stillness, inquire deeply within to connect to what you truly want. Allow your intentions to arise in their own time, and as they do, begin to see them as reality in your mind’s eye. If you’d like some guidance, practice a new moon guided meditation (like the one below!) to help awaken your intentions. You might be surprised at what arises for you! Focus on how you feel as your intentions arise. Your intentions should make you feel uplifted, joyous, and light. Perhaps a little trepidatious, as embarking on something new is always a bit nerve-wracking. But it should be nervous in a good way, not in a fearful way. As you write down each item, feel into it. If it’s not resonating with you 100%, then don’t include it. You want to practice feeling as if you already have what you want. If you don’t feel great with an intention, then perhaps it’s not right at this time. Putting your intentions down on paper is one way to start releasing them so that can become reality; speaking them aloud further releases them to the Universe. Speak your intentions aloud out to the Universe, confident in the knowledge that the Universe has got your back. Some people like to further release their intentions by burning or burying them, but I like to place them where I can see them every day. Either on my bathroom mirror or near my computer. This serves as a gentle daily reminder of what I’m working toward. Then at the full moon, and at the end of the month, I can check in with my intentions and see how I’m doing. I like to move with my intentions. After I have allowed them to arise and felt them in my being. And after I have released them into the Universe, I like to keep them in the back of my mind as I move through a yoga practice on my mat. 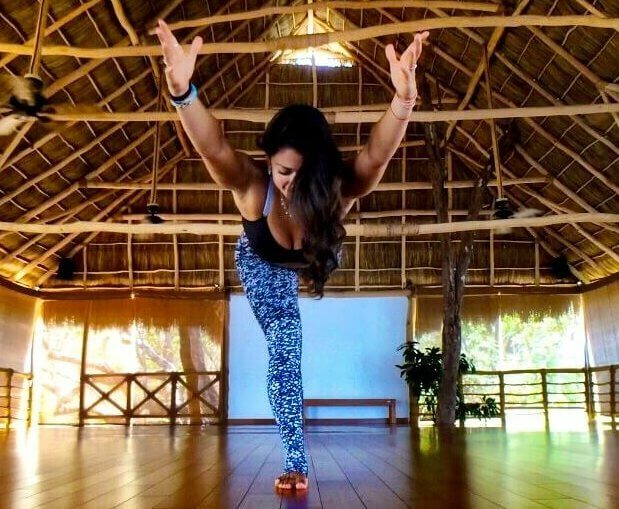 I am most myself when I am on my mat. When I’m moving and breathing in unison. And I find that keeping intentions in my mind while moving through a practice helps to solidify them for me. You may or may not find this to be true for you, but I invite you to give a try. What I’ve outlined above is a beautiful way to set medium-term intentions. Meaning, they are intentions that you want to bring to life over the course of a few weeks, or months. 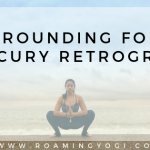 The lunar cycle aligns perfectly with this timeframe, so this is a perfect ritual to come back to on a monthly basis. But what about on the daily? How do we live our day-to-day from a place of intention? Setting daily intentions is incredibly powerful as well, and it can be done in as little as 10 minutes a day! Setting an intention each morning about how we want our day to unfold is an incredible way to practice more mindfulness in our lives. It helps us to ensure that our attention is not scattered, or placed mindlessly; it is placed with intention. If intention-setting and mindful living sound appealing, then I invite you to join me in Morning Magic – a FREE 7-day challenge to start each day with an intention and a short yoga practice. Each practice is just 15-20 minutes long so that you can fit one into each morning. If you want to learn more about this Morning Magic mindfulness experience, click here. If you’re already sold, sign up below!